Dyslexia is one of the most misunderstood learning styles in today’s educational landscape. Although most people associate Dyslexia with letter reversals and reading difficulties, Dyslexia encompasses a much larger umbrella of learning difficulties. At one time, Dyslexia was defined as deficiency in brain function – a disability. We now know, however, that Dyslexia is not a result of a genetic flaw – or brain, eye, or ear malfunction – it is a difference in thinking and learning style that can cause confusion when dealing with symbols. In fact, some of our culture’s most talented people are dyslexic – as is true for many of the pioneers in technology, physics, and art. Dyslexia Masters client, Logan Godby, discusses his experience with the gifts and the challenges with Dyslexia on TEDx Talks! For information-packed videos on Dyslexia and the Davis Dyslexia Correction Program, please visit the Davis Dyslexia YouTube Channel or the Davis Dyslexia Association International website at: http://dyslexia.com. 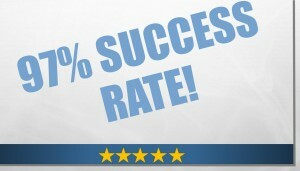 With a 97% success rate, don’t wait another minute to find help! Dyslexia can be corrected with the right tools and techniques, let Dyslexia Masters show you how! Hear how our clients have found success. Contact Us! Learning should not be this difficult! If you, or your child, have difficulties with reading, writing, handwriting, spelling, math, or attention, the Davis® programs can help! If you are unsure whether you are dealing with Dyslexia, please take advantage of the free Davis On-Line Assessment. Dyslexia Masters proudly offers the Davis® Dyslexia Correction Program to clients aged 8 and up. This one-week, intensive, goal-oriented program is designed for the visual-spatial learner! Facilitated one-to-one in an engaging and supportive setting, clients leave with life-changing skills.